Hi, I’m Tanya from Elizabeth House in Seaview, Port Elizabeth in the Eastern Cape. 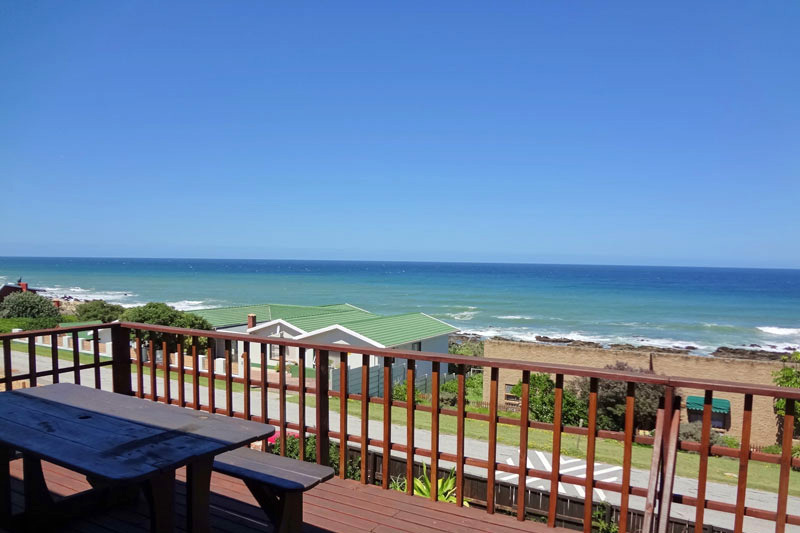 Seaview IS BEST KNOWN FOR its beautiful views of the Indian Ocean, proximity to lots of unspoilt beaches, and the dolphins and whales that come to visit us each day. GET YOUR PICTURE TAKEN AT sunset on Maitlands beach, the beach stretches for miles and it perfect for a long walk or a lazy day. At sunset the wet sand catches all the colours of the sunset… a magical time! Don’t miss out on this special treat! 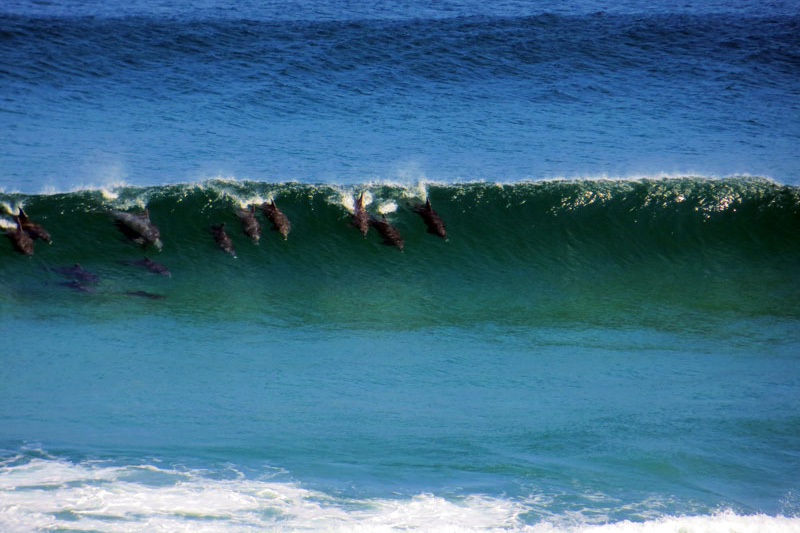 THE BEST family PICTURES CAN BE TAKEN AT any time of the day when the dolphins are coming past from the deck at Elizabeth House. OTHER HAPPY SNAPS AT Barnacles restaurant while you drink something fizzy in the sun! WHEN THE WEATHER’S GOOD, I LIKE TO take long walks, go for a swim in the sea or just sit in the sun and soak up the view. WHEN THE WEATHER’S BAD, I LIKE TO cuddle up indoors next to the fire and watch the huge waves roll in cuddle up indoors next to the fire and watch the huge waves roll in. The rough seas and great big grey clouds during a stormy Seaview day are spectacular to see. A glass of wine, a warm fire, your family and friends around you… nothing nicer! I THINK THE BEST TIME OF YEAR TO VISIT IS all year round, BECAUSE we welcome visitors throughout the year, and although you may need to wrap up a little warmer there is always something to enjoy, and you can sightsee all year round… in Spring and Summer the days are long, the weather is warm and the water is perfect for swimming. In Autumn and Winter the whales arrive and watching them never gets boring… my family and I have lived in the area for over 30 years and we all still sit and watch whenever a whale comes by, whether it’s the 1st whale of the day or the 6th! MY FAVOURITE BREAKFAST SPOT IS Barnacles – I recommend the mermaids tail, it is as nice as it sounds…. FOR LUNCH, I SUGGEST Elephant Walk – their springbok carppacio with melba toast and balsamic vinegar and olive oil is one of my favourite things ever! 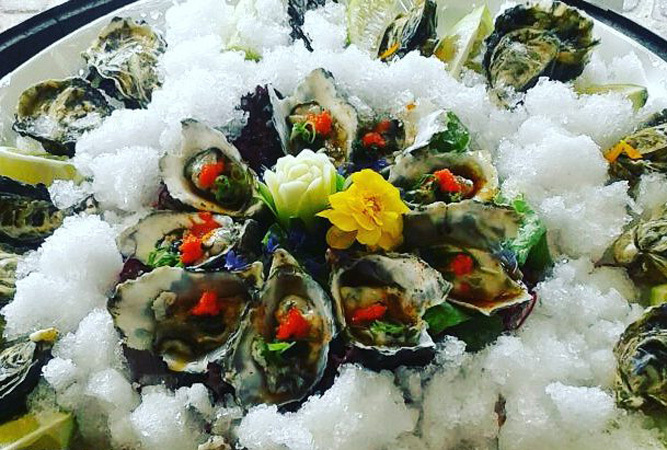 MY FAVOURITE RESTAURANT in the area is Barnacles, it is about 100m from the house, overlooks the ocean, has beer on tap and yummy seafood and steaks, TRY THE surf and turn (calamari and fillet)… divine! MY FAVOURITE picnic SPOT IS is at Elizabeth House… get the blankets out on the lawn, get the braai on outside, no need to drag around a picnic bag or ice box… just a casual stroll to the fridge! If it’s windy I love an afternoon at the Island Forest Nature Reserve or Kini Bay or Beachview on a warm sunny day. IF YOU WANT TO MEET LOCALS, GO TO the Dizzy Dolphins Bar. Full of local character(s). Seaview’s BEST KEPT SECRET IS the people… warm and friendly folk, and why shouldn’t we be? Everyday feels like a holiday here. MY FAVOURITE THING TO DO WITH FRIENDS IS go fishing at Maitlands beach. 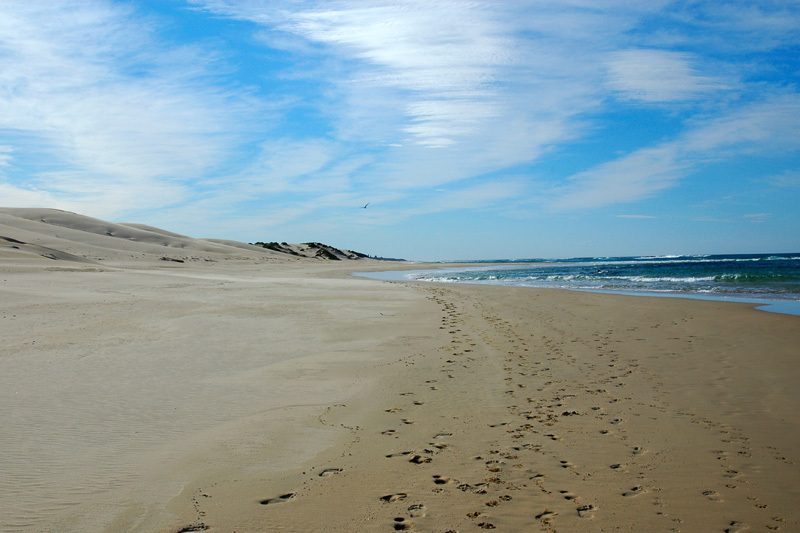 A five minute walk and you will have the beach all to yourself, just you and your buddies and maybe a good book. TO RELAX AND RESTORE MY SOUL, I LIKE TO take a long walk early in the morning, before anyone else is up, with my dogs on Maitlands Beach. We walk as far as Blue Horizon Bay, the next village along. There and back takes us about an hour and a half. It is peaceful and safe and oh so quiet. MY FAVOURITE DRIVE IS the back roads, via Rocklands and Uitenhage, to Addo – it will remind you that we live in the most beautiful country on earth! Beautiful South Africa! MY FAVOURITE food SHOP IS at the Elephant Walk – all sorts of homemade lovely things, fresh fruit, veg, all sorts of things in jars – heaven. There is also an antique shop which has lots and lots of treasures. MY FAVOURITE dolphin and whale WATCHING SPOT IS the deck… this year we have seen thousands of dolphins, 3 killer whales, lots of humpback and southern right whales, and a few lonely looking seals! We even saw a pink flamingo. IF YOU’RE HERE IN June, JOIN IN THE FUN AT Kirkwood Festival (hours drive), if you are here in December there is the annual Splash Festival of the beachfront (30 min drive). 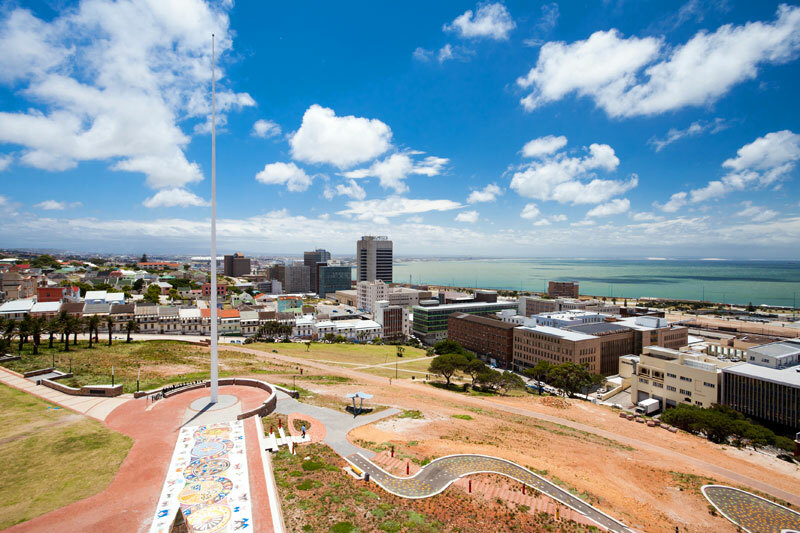 There are lots of exciting events which take place in Port Elizabeth all year round. TRAVELLING WITH CHILDREN? A FUN OUTING IS Addo Elephant Park or playing with the lion cubs at the Seaview Lion Park. BEST CHEAP AND CHEERFUL OUTING IS definitely the beach. When money’s no object I like to treat my family with special meals and days out enjoying this beautiful part of the country. THE MOST UNUSUAL THING I SEE HERE IS lots and lots of happy faces…it’s the good life here for sure! 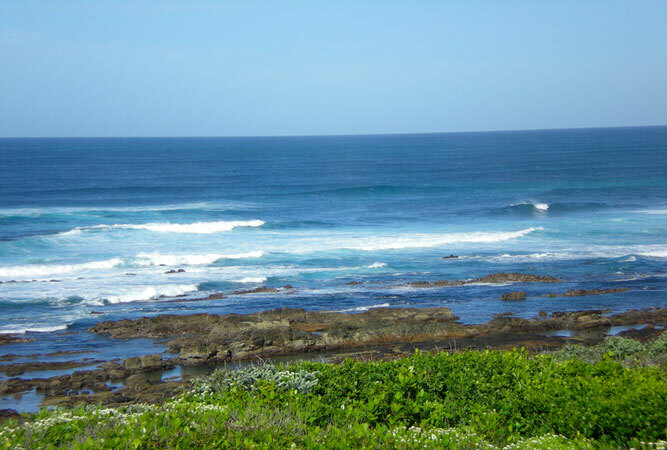 MY FAVOURITE WEEKEND GETAWAY IS Cape St Francis, Addo and if I have a few days to spare the Transkei. But I must admit, the urge to travel has decreased since returning here. WHEN I WANT TO GIVE BACK TO THE COMMUNITY, I help at our local farm school – The Island Forest School. It’s a community run project and we are very proud of it. We provide 67 kids with lunch every day, help them with sports and English classes and all sorts of nice things. I Love Seaview BECAUSE it’s perfect!